I'm coming to realize the flaws of the Blogger app for Android phones, as I'm finding it a little frustrating to make my posts exactly as I like them. It's good to try something different every so often, though, so I'm going to stick it out this week and keep on truckin' from my phone. 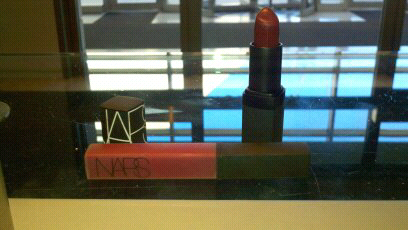 As you may already know, I am in love with NARS cosmetics. Their colors are simply fabulous. Here I'm featuring one of my favorite lip glosses of theirs, Strawberry Fields. It's this beautiful deep magenta color that stands up really well against the darkness of my hair. I've layered it over NARS lipstick in Scarlet Empress, which is very similar in color but lacks the high gloss of the top layer. Enjoy the insane pictures. I tried taking them in the bathroom at my job, but they are not kidding when they say flourescent lights are really dark. First of all I have been loving your pictures, I'm so glad you're posting more of yourself, and that shade of lipstick is pretty divine! You wear it well! I've never tried NARS lipstick or lipgloss, but I love their blushes, bronzers, and highlighters. Do you think the lipsticks are worth the money? 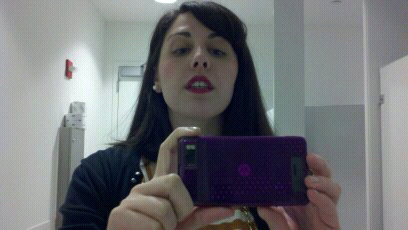 @Mary Lane To be honest, I actually only own one of their lipsticks, Scarlet Empress, but I do like it a lot. The color is very rich and goes on pretty smooth, but you do have to be careful not to over apply, and I would highly recommend lipliner, as that color tends to bleed a little. 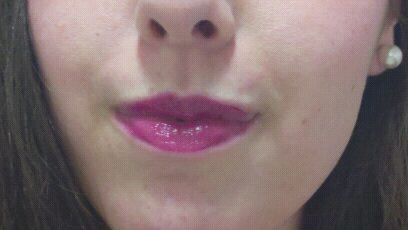 I'm more of a lip gloss junkie, and I have somewhere in the vicinity of 15 of their colors. I would highly recommend them. In addition to the fact that the colors themselves cover a pretty wide range, they blend really well with each other, so you can create a lot of individual looks. I suggest investing in a small set, if there's one that looks like it might suit your color needs, so you can play around with a bunch without dropping $24 apiece on a tube. 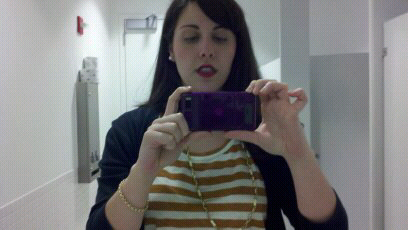 I have a holiday set from 2009 that has 4 double ended mini glosses and they're super versatile. Hope this was helpful, even if it wasn't exactly what you asked for!